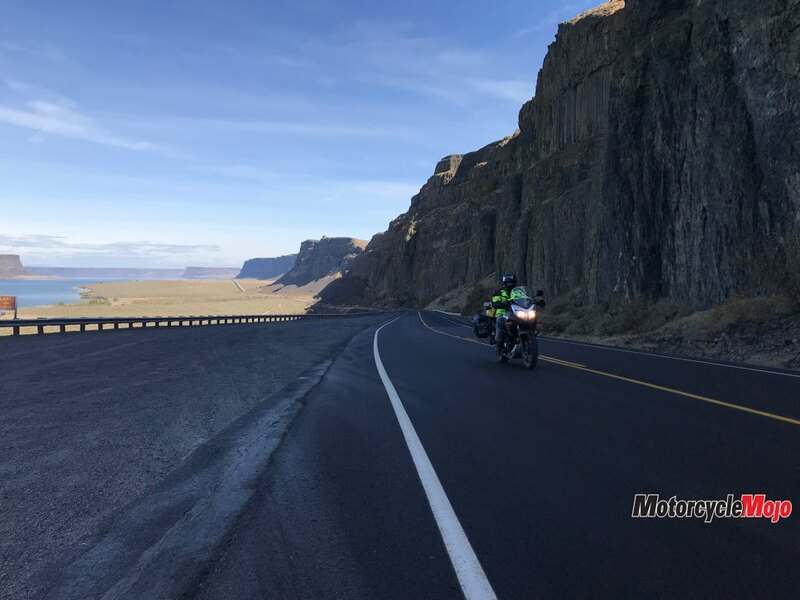 Although both mountains can be explored on one trip, in this case, Keith Baric felt two separate journeys were better to take in the amazing riding and spectacular scenery. We tend not to think of volcanoes much, especially here in the Pacific Northwest – until, of course, they start weeping copious amounts of steam or, even worse, popping their plug with devastating consequences. These sleeping giants tell us much about the origins of the landscape here: a landscape that is likened to a thin phyllo pastry crust sitting atop constantly shifting dinner plates. It’s the by-product of earth building that has been ongoing since the dawn of time. Two of these magmatic goliaths, Mount Rainier and Mount St. Helens, are part of a chain of active volcanoes in what is known regionally as the Cascade Volcanic Arc, and globally as the Ring of Fire, a 40,000 km horseshoe-shaped region of considerable seismic activity that stretches from New Zealand up to Alaska and down to the tip of South America. Washington State is home to five major volcanoes, but what makes Mount Rainier and Mount St. Helens most unique are the relatively easy access roads that seem tailor-made for motorcycle tourers and place you near their molten hearts. Another factoid is that they were named by the explorer Captain George Vancouver, who frequented the west coast in the late 1700s. Both Alleyne FitzHerbert, aka Baron St. Helens, and George’s close friend Rear Admiral Peter Rainier, were fortunate enough to have their names immortalized on every map since. 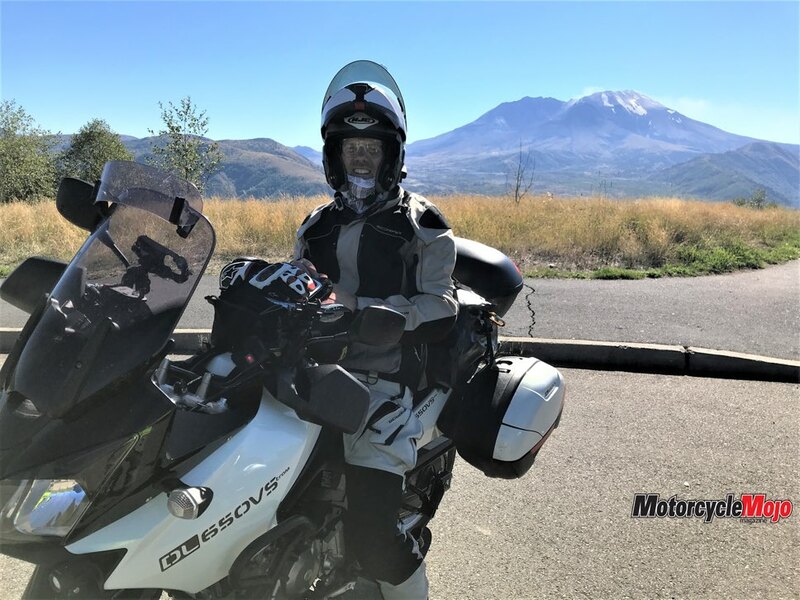 I tackled Mount Rainier on a solo ride in September 2017, while this past September, my fellow V-Stromer, Vic, decided to join me on an excursion to Mount St. Helens. Although the iconic mountains are a mere 21-litre tank of gas apart from each other, I decided that it was best to explore these tectonically active destinations on separate trips, and from a strictly experiential perspective, I’m glad I did. 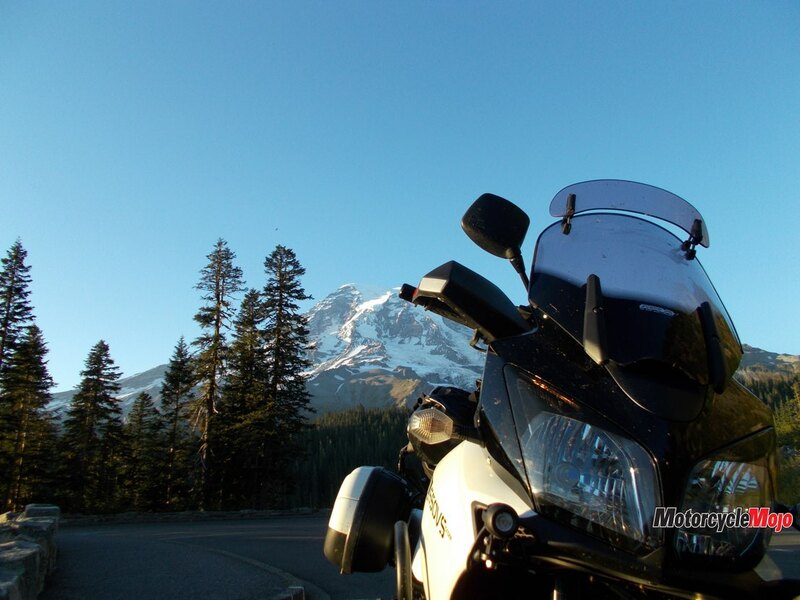 The approach from the Canadian border to Mount Rainier can be tackled by riding toward the coast then heading south. As with many of my trips from the interior of B.C. 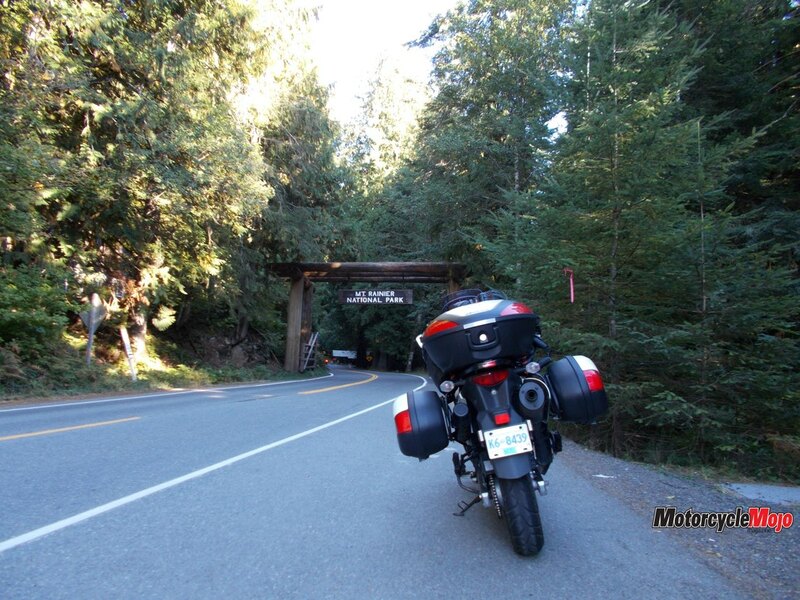 to points west, I lean toward the picturesque (if you hit it during daylight hours, of course) Highway 20 through Cascade National Park. Thankfully I had travelled this route before, because on this one particular trip, I didn’t reach the historic town of Winthrop on the leeward side of the mountains until close to five in the afternoon, and with darkness quickly ascending, posing with the bike for photos was out of the question. 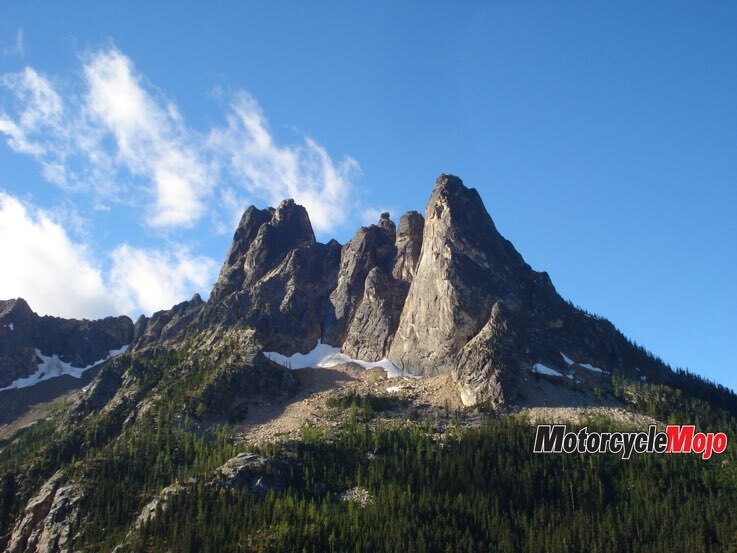 Marblemount is well positioned on the western flank of the Cascade Range; as long as you get there earlier enough to set up a tent, get your fuel gauge off the last bar, and find a restaurant that’s open, you’ll be fine. Or else be like me – eating a one-course meal of crackers in your tent at midnight. 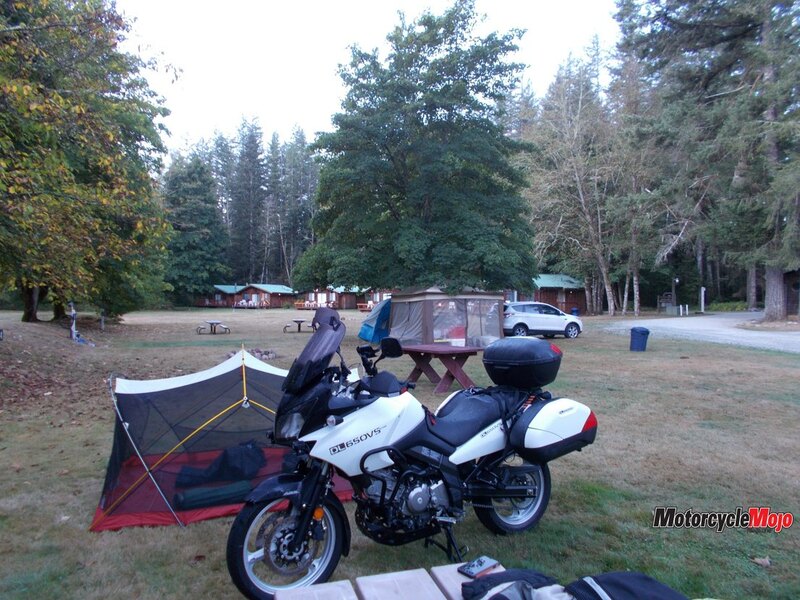 The Glacier Peak Resort has great tent sites once you can see them in daylight, and offers a good place to fill your belly at breakfast. Travelling paved roads on the windward side of the Cascades forces you to get relatively close to the major cities of Seattle and Tacoma, so the arterial connector routes are rather congested and a bit too much stop-and-go for my liking. However, once far enough south, approaching Mount Rainier (the fifth national park established in the lower 48) from the west does have its advantages, as passing through the iconic park portal at Nisqually is like stepping back through time. The twisty ascent to Paradise requires full attention on the handlebars, as the road is narrow and scenery-focused cagers heading down tend to drift over the centreline, undoubtedly awed by the towering old-growth fir and cedars that encircle the volcanic centre of this 95,600-hectare park jewel. 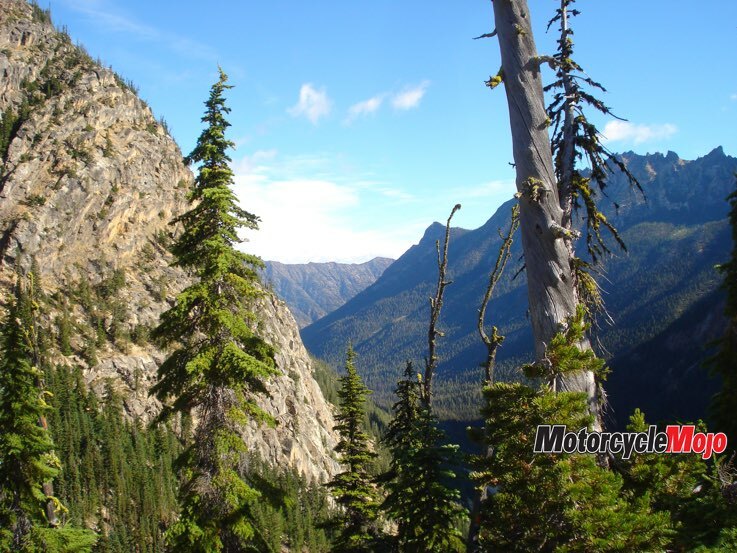 The Henry M. Jackson Memorial Visitor Centre and general viewscapes that greet tourists at Paradise demand at least a few hours to appreciate, but being on a motorcycle does have its disadvantages. Although appealing, the thought of trekking up the alpine from the immense parking lot was not in the cards for me. 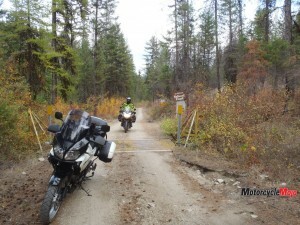 There was just too much gear strapped on the bike to worry about. 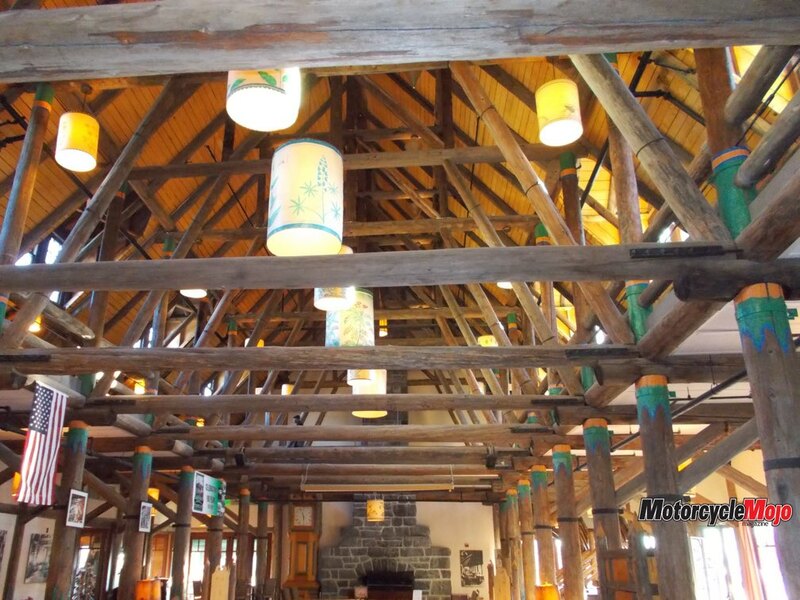 Rather, I admired the engineering marvel of the Paradise Inn, built in 1916 (the same year as the creation of the U.S. National Park Service): its crisscross of timber beams and vaulted ceilings are both visually impressive and yet also practical, as they prop up massive amounts of the white stuff every winter. 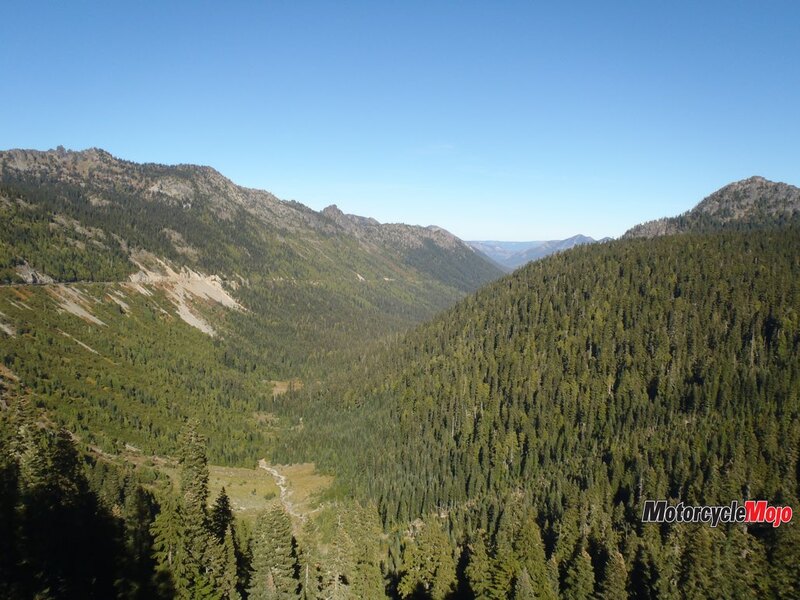 Descending Mount Rainier, again snaking through tall trees and lush understory, is in an easterly trajectory toward the Stevens Canyon entrance. 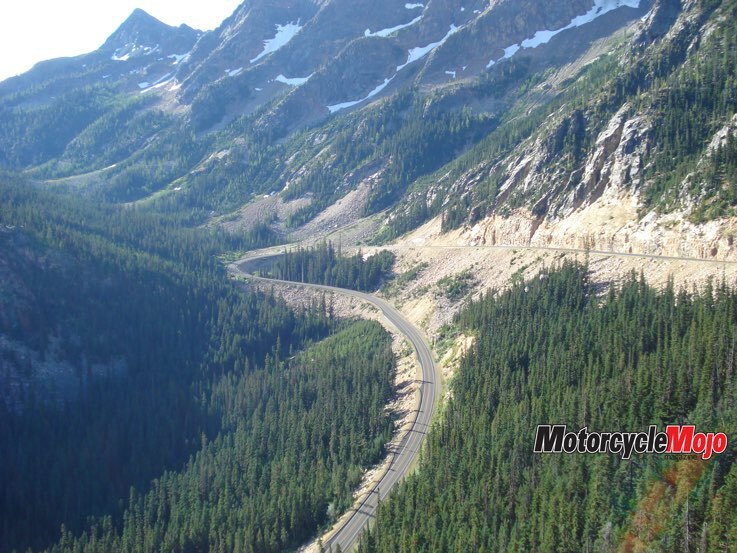 From there, three options are presented: north, to where another popular attraction to the park, the Sunrise Visitor Centre (the second-most visited site in the park and the highest point to be reached by vehicle), resides; east for taking in stunning views of the mountain from Chinook Pass; or south on Hwy 123 toward Packwood and Mount St. Helens. As mentioned earlier in this tale, Mount St. Helens is relatively close to Mount Rainier. However, it’s best to budget an extra day or two if you want to absorb the spectacular attributes of both. Nevertheless, because of the various approaches to both volcanoes, breaking the explorations up into separate trips is a good idea, even if they are a year apart. Mount St. Helens, covering an area of 44,520 hectares, is a national monument, as compared to a national park. Some pro-park advocates argue that its upgrading to national park status is long overdue and would create further opportunities for funding, something even the U.S. national parks have lost under the current political regime. Regardless of annual operating budgets, Mount St. Helens offers excellent amenities. 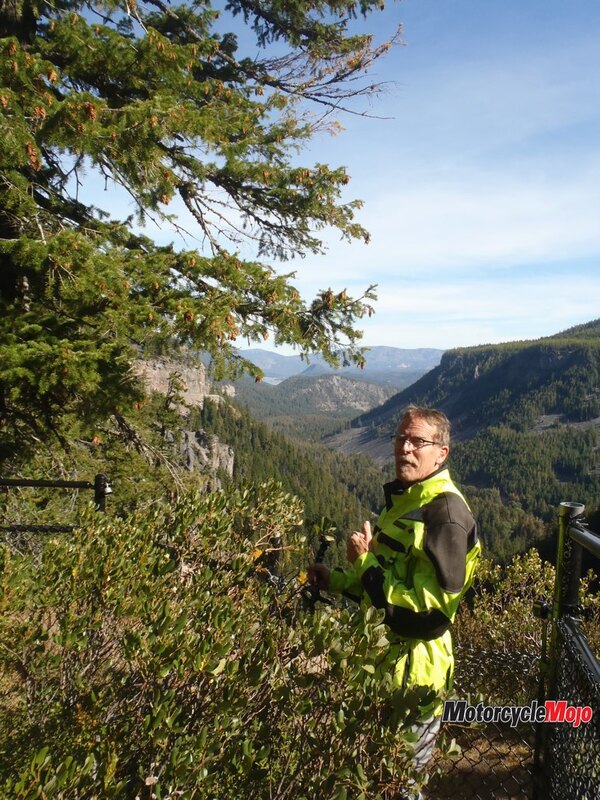 The Spirit Lake Highway (State Highway 504), which my riding mate Vic and I travelled via the west entrance to the monument, is a relaxing, wide and well-maintained route that provides commanding views of the North Fork Toutle River. When Mount St. Helens erupted on May 18, 1980, and for the following four months, this river channel transported 140 million tons of forest debris, ash, sand and gravel toward the Columbia River several hundreds of kilometres away. 300 km/h winds. The low-profile, concrete building, partially embedded in the hillside facing the north flank of the mountain, has myriad displays, as well as various trails to absorb the destructive magnitude of the eruption. To the east, Spirit Lake is visible, a waterbody forever changed by one of the world’s largest known landslides, which consumed not only the lush forest surrounding the lake, but also that of the Mount St. Helens’ Lodge, home of Henry R. Truman. Truman, along with 56 other souls, was lost in the aftermath of the eruption. Camping near the volcano is not really an option, as overnight accommodations are offered only on the periphery of the national monument. Vic and I tried our luck at the Kid River Campground, just off Route 504. Although the forested site had the basic amenities and a charming old caretaker, the early-morning Jake brakes from a nearby logging road nestled carefully below the campground serenaded us at six in the morning. Best to check out the Eco-Park Resort (unfortunately closed this particular week), which is about 15 minutes west of Kid Valley, replete with cozy cabins and private tent sites in an “off the grid” setting. 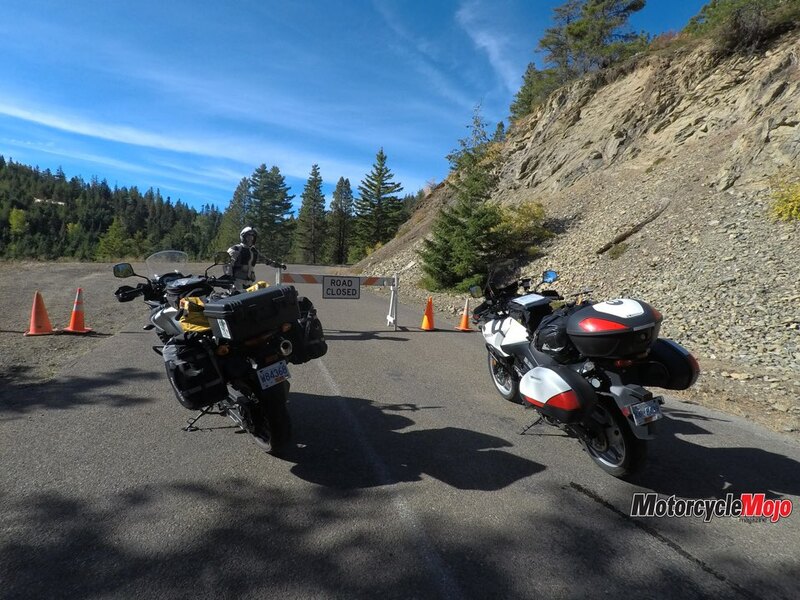 There is an equally scenic, albeit more mountainous, approach to Mount St. Helens, and that is Forest Road 25, which travels through the Gifford Pinchot National Forest to the Windy Ridge Viewpoint. 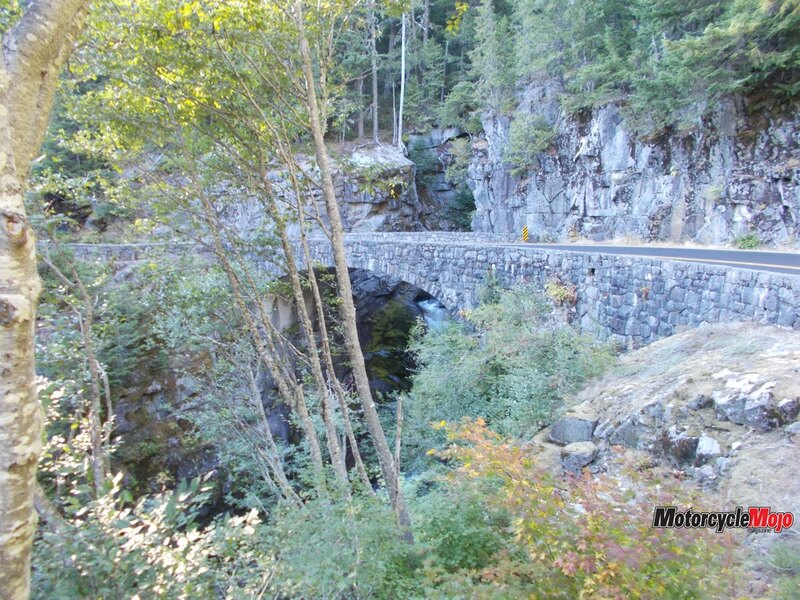 We had attempted this approach first before heading on the Spirit Lake Highway, but this paved, ubiquitously potholed route seems plagued by spring washouts and ongoing repairs, and the visit to the Ranger Station outside of Packwood confirmed that access was once again closed due to a bridge reconstruction. 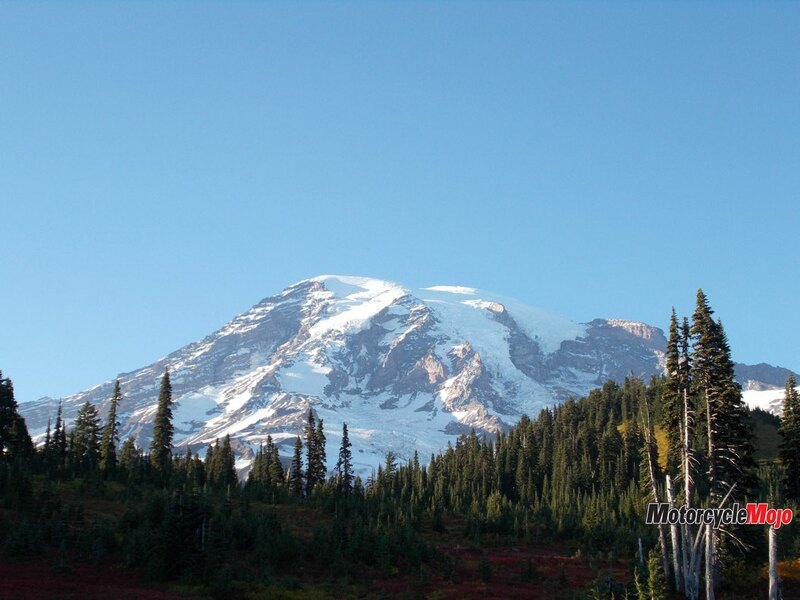 Another bonus about this less-travelled route is viewing Mount Adams, another potentially active volcano, which rises out of the west and beckons further exploration, albeit in a more wilderness setting. 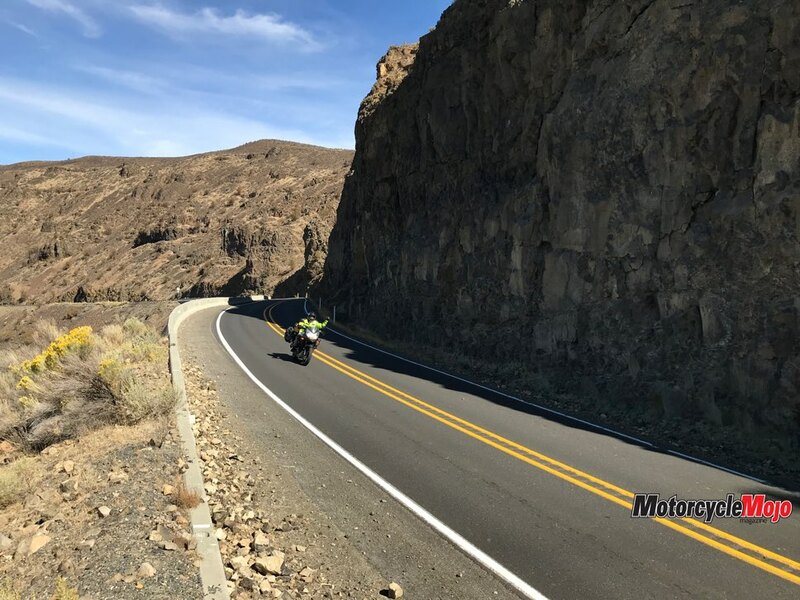 The leeward side of the Cascade Mountains presents a variety of options for north and south travel to and from the volcanic destinations described here. I must admit, this farther-inland route has a great many benefits. 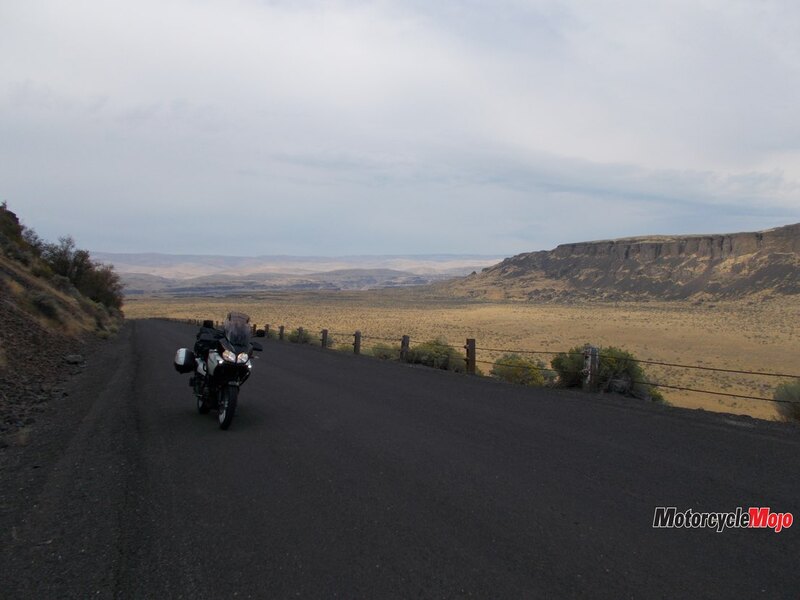 Not only is traffic lighter and more sporadic, but the landscape here is primordial, as most of it resides on the Columbia Plateau, or scablands, as the laymen geologists call it. Shaped by prehistoric glacial movements and megafloods, it’s a rider’s dream both visually and technically. 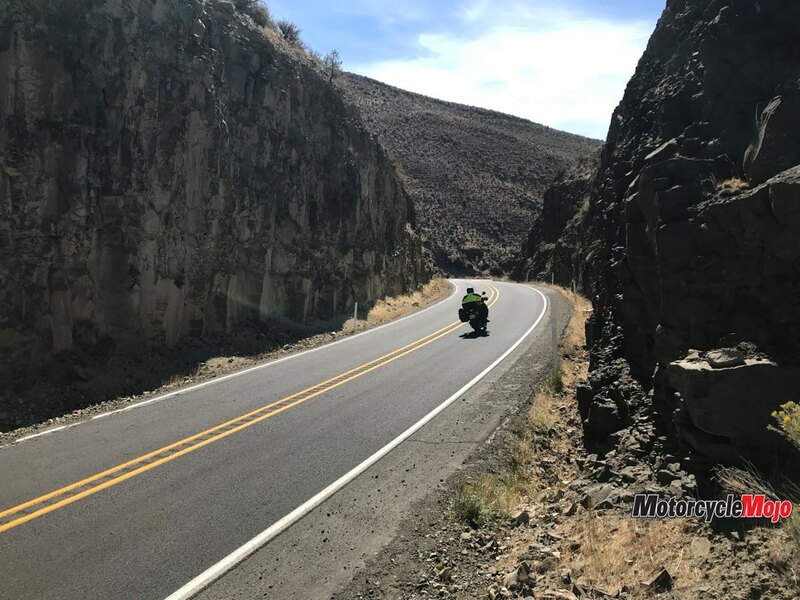 Vic and I took in the Yakima River Canyon via State Route 821, which is a blissful alternative to Interstate 82 as you head north to Ellensburg. 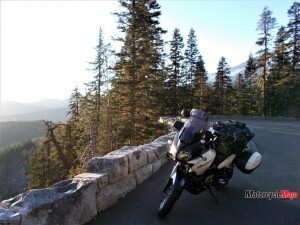 Another must-ride, which I convinced Vic to experience, is the short section of Old Blewett Pass. 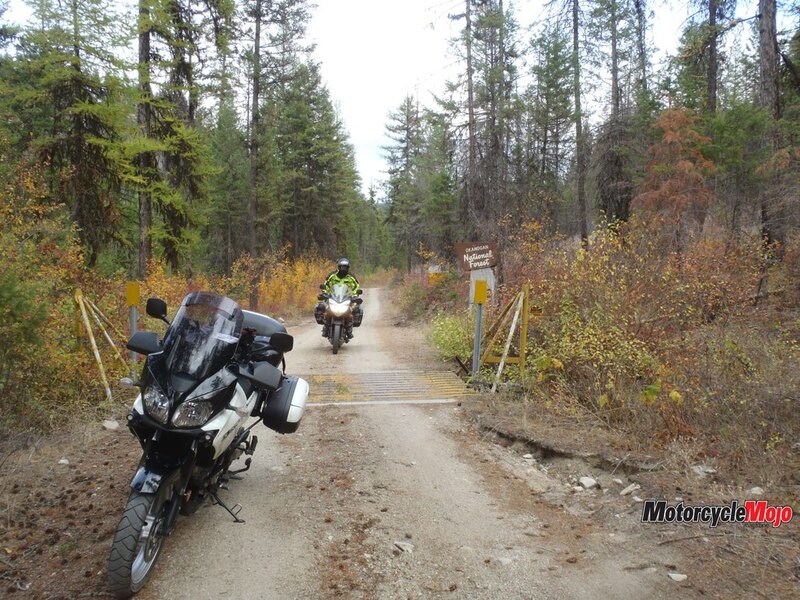 This very twisty and narrow paved secondary road has been maintained (even if we didn’t pay heed to the “road closed” barriers) to a standard just perfect for adventure bikes, even though the main highway takes a much easier approach over the 1,250-metre mountain crest. 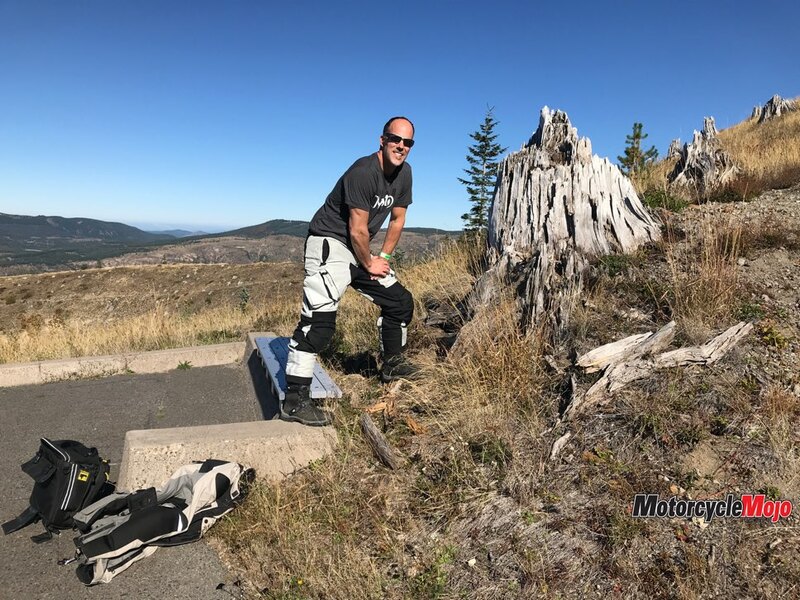 Now strictly on a northward trajectory from the Mount St. Helens volcano run, we fuelled up both bike and body in Ellensburg, and rather than push ourselves any further, made Wanapum Recreation Area our destination for an evening. Just south of Vantage, the small park offers a well-maintained venue to pitch a tent along the banks of the much-manipulated Columbia River. I say this because even the town of Vantage, now situated a considerable distance upslope, was inundated by the rising waters from dam construction in the 1960s. The Ginkgo Petrified Forest State Park is located here as well, and is a site worth taking a few hours to explore. After funneling through the coulee country, admiring the giant escarpments of columnar geology, a suitable stop for either a Mexican meal or a relaxing overnight, Lake Chelan is one of my preferred layovers. 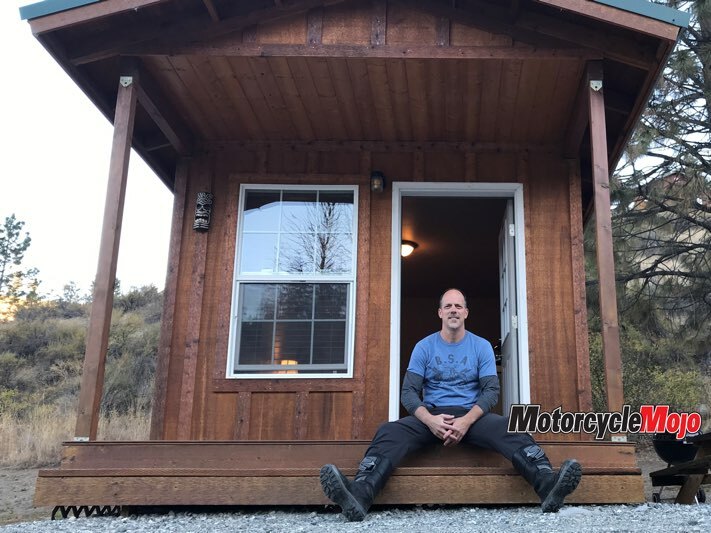 We discovered an inexpensive, well-maintained and isolated accommodations sweet spot situated high above the lake. The one- and two-bedroom cabins at the Chelan Rentals Resort, adorned with all the necessary provisions – comfy bed (extra blankets), fridge, heater and small TV (you can rent DVDs in the office) – made for a memorable and restful sleep.